Our bonus #TechTip today is a last minute gift idea. After the last ice storm we just went through, many were left without power. While phones and tablets may have provided some contact to the outside world, they still had to be charged. Without power that could have been a problem. To stay in contact with whats going on in the world, and keep your phone charged up, consider a portable phone charger. Eton builds these kits that can charge your phone, have a built in flash light and AM/FM radio. All with a hand crank or some models with a solar panel as well. Everyone should have an emergency 72 hour kit stashed away in their home, and hopefully this Ice storm shows why it is important. 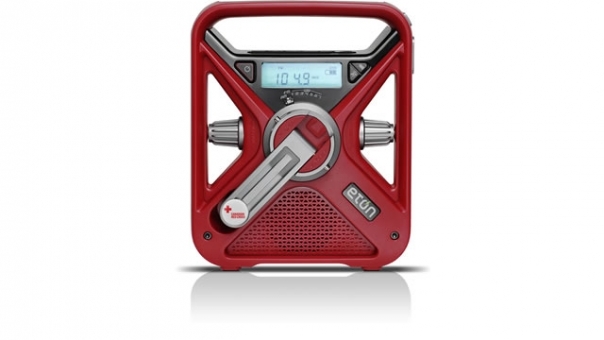 If you are looking to purchase one of these units, or one of the many available, a simple Google search will net many results, but Radioworld is a great place to purchase items like this. It will make a great gift, and keep you connected during the next emergency. So what’s up with the request for donations?